DIRECT ACCESS TO THE NEARBY LAGUNA MADRE BAY & GULF OF MEXICO VIA THE INTRACOASTAL WATERWAY & BROWNSVILLE SHIP CHANNEL. 19.62 acres with wide 5.43-acre safe harbor channel with deep water. 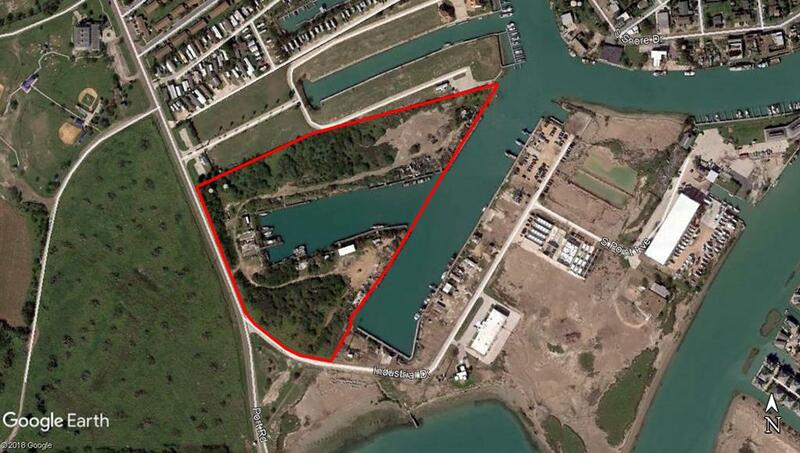 Can accommodate yachts or work vessels & close to the boatyard for haul outs. Near the beach in South Padre Island. This 25 acres that can be purchased with adjacent 18 acres. Prime location for vendors associated with SpaceX, possible cruise ships and Steel Mill, LNG facilities, and any other expansion happening in the ship channel. End-use can be residential, commercial or just about anything. Seller is flexible. Excellent timing for development. Possible seller financing. Directions: Go south on Port Rd. Right past the gated entry to Pirate’s Cove is an entry to this property.